Total Carat Weight: 2.07 ct.
It’s a triple threat! 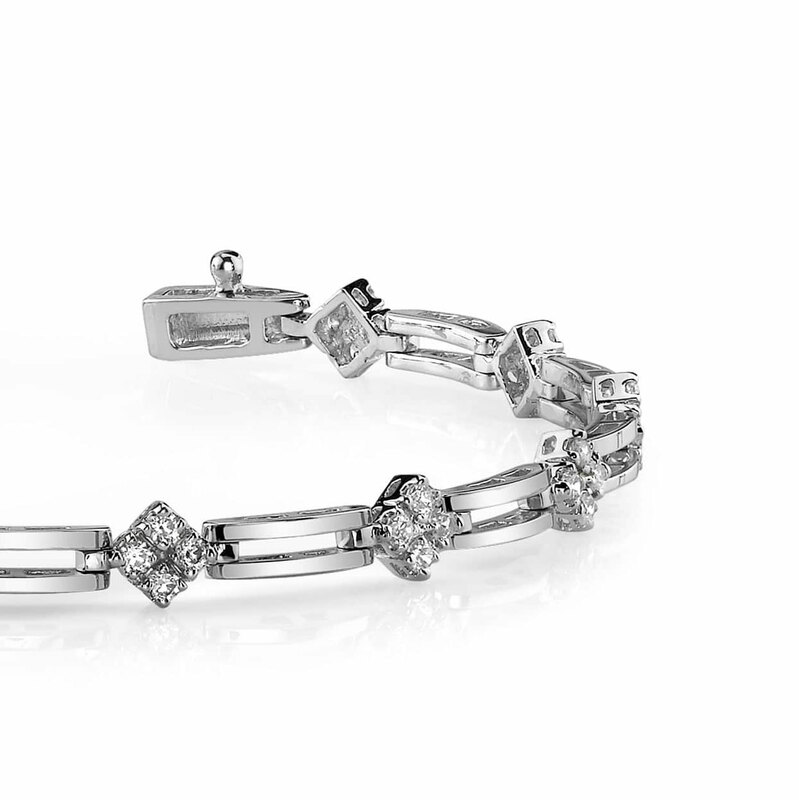 This stylish bracelet features hexagon shaped links that separate gorgeous gemstones and trios of dazzling diamonds. 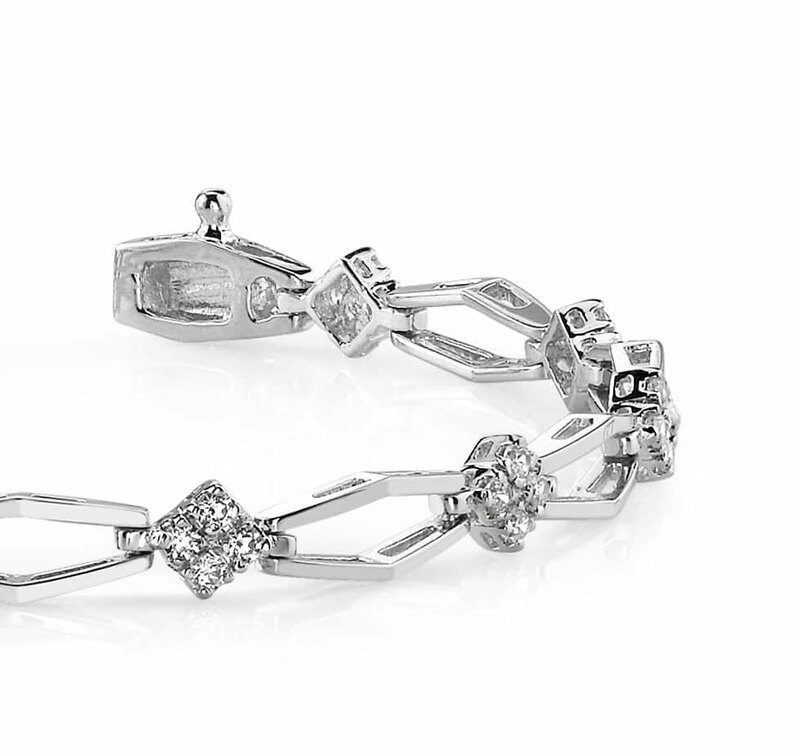 The stones in this bracelet are all set with four prongs. 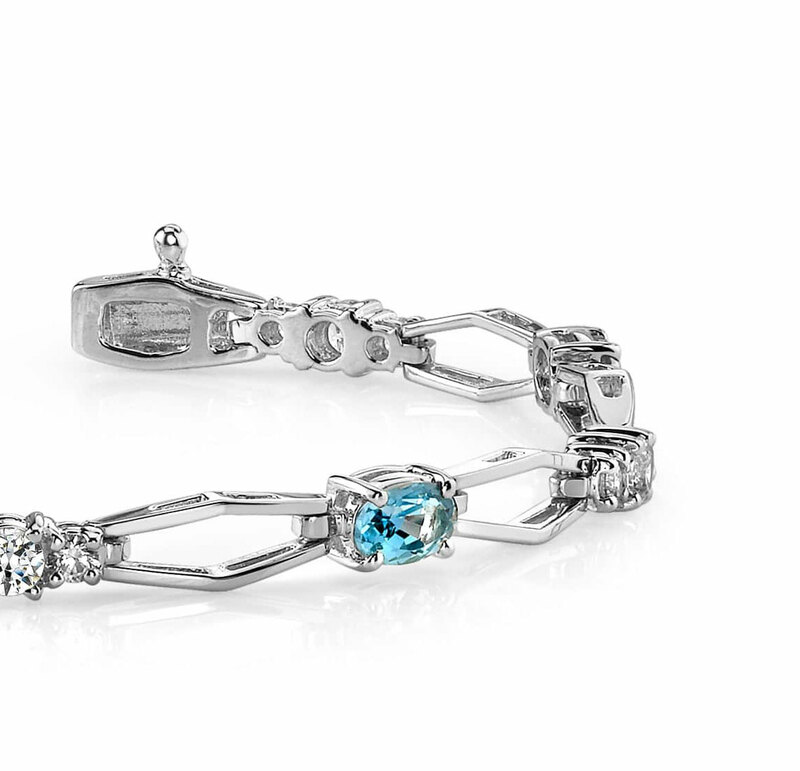 This variation is a wonderful bracelet for everyday wearing or when you are looking to dress up an outfit! You can customize this design by selecting the gemstone you want, desired diamond quality and metal type! Select from yellow gold, white gold or platinum and from two sizes, either a ,75 ct. or a 1.25 ct. Order one as a present or for yourself today! Model Carat Weight: 2.07 ct. Effective Carat Weight: 2.07 ct.
Stone Carat Weight: 10X0.030 ct., 5X0.090 ct., 4X0.330 ct.